Is Weight Supression Driving Your Binge Eating? Is Weight Suppression Driving Your Binge Eating? If you have bulimia nervosa, did you know that being at a weight that is too low for your body could be a problem and that it could be driving your binge eating and other behaviors? 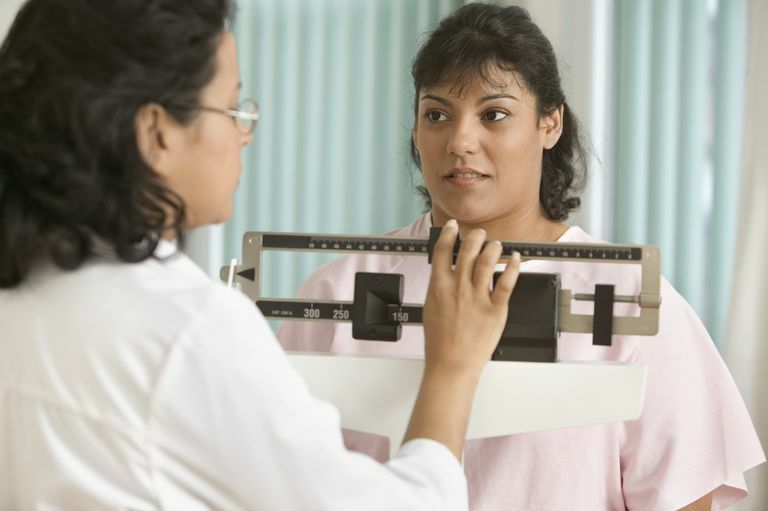 Many people are aware that patients with anorexia nervosa need to gain weight in order to recover, but few people are aware that this could also apply to patients with bulimia nervosa. This article will discuss research on the role of previous and current weight on the development and maintenance of bulimia nervosa. What Is Weight Suppression and Why Is It a Problem? Weight suppression is the difference between one’s highest adult body weight and one’s current weight. It can also be thought of as the amount of weight one has lost from a previous high weight, usually in response to dieting. Human bodies are meant to be a variety of shapes and sizes. When a person who is genetically programmed to be in a larger body tries to reduce his or her size to smaller than intended by genetics, binge eating may be the body’s natural defense to avoid death by starvation and return the body to a healthier size for that body. Weight loss, even among healthy people, decreases metabolism and the amount of energy the body burns. It also seems to increase appetite. The hormone leptin, which sends satiety signals to the brain, is believed to play a role in this process. Studies indicate that individuals with high weight suppression appear to have reduced levels of leptin. For these reasons, there is a strong biological predisposition to regain lost weight. In 1979, Gerald Russell published the seminal paper that first described bulimia nervosa as a variant of anorexia nervosa. In this paper, he noted that weight suppression seemed to play a role in the development of bulimia nervosa. He described these patients as trying to drive their weight below a healthy body weight and, as a result, starting to binge and purge. In Russell’s initial study of 30 patients with bulimia nervosa, 17 had previously met full criteria for anorexia nervosa, including the low weight. Another seven patients had also lost weight but not enough to fit the diagnosis of anorexia nervosa. Every patient but one had experienced at least some weight loss prior to the onset of bulimia nervosa. Despite this early account, prior to the last 10 years, there was not much research on weight suppression. In the last several years, researchers under the direction of Dr. Michael Lowe, a professor of psychology at Drexel University, have begun to study the impact of current and past weights on eating disorders. Although still in its early stage, this research is helping us to better understand the dangers of weight suppression. Research indicates that prior to the onset of their illness, patients with bulimia nervosa often start out at a higher body weight than those with anorexia. As the eating disorder develops, patients with bulimia nervosa seem to lose a significant amount of weight. By the time they present for treatment, they are generally within what is considered a “normal” weight range—but crucially, they tend to be well below their highest adult weights. One study measuring the average degree of weight suppression in patients with bulimia found the average amount of weight suppressed was approximately 30 pounds. Greater weight suppression appears to be associated with more bulimic symptoms and a longer length of illness. Greater weight suppression also predicts weight gain in patients with bulimia nervosa both during and after treatment. The role of weight suppression is important because it illustrates that bulimia nervosa is not merely caused by psychological factors, but that there are also complex biological factors at play. Patients with weight suppression and bulimia nervosa who are preoccupied with achieving a lower weight appear to be stuck in a bio-behavioral bind. Their weight suppression makes them more prone to weight gain—but the preoccupation with being thin makes this weight gain highly threatening. Researchers do not yet fully understand the specific factors that make weight suppression problematic. For example, they do not know whether as little as five pounds of weight suppression is problematic, or whether only larger amounts of weight suppression are an issue. They also do not know whether the effects of weight suppression are greater if someone was at a higher weight for a longer period of time or whether their weight has been suppressed for a longer time. These are among the answers that researchers studying weight suppression hope to be able to answer. What Does This Mean for Patients With Bulimia Nervosa? Juarascio and colleagues (2017) suggest that some patients who are not successfully treated by a course of Cognitive Behavioral Therapy (CBT) for bulimia nervosa might improve their recovery by gaining weight. It appears that weight gain could reduce the urge to binge and purge. They recommend that clinicians routinely and thoroughly check to see if a patient is currently below their highest weight, and by how much. They also recommend that patients with significant weight suppression and those who gain weight during the initiation of regular eating should receive additional education about the impact of weight suppression on symptoms of bulimia nervosa. They suggest that clinicians educate patients about the fact that over time, dieting very rarely leads to sustained weight loss and often leads to weight gain. Successful treatment for your eating disorder may mean reaching and living at a weight higher than you want. Our genetic body size and shape determines what is healthy and normal. You can be healthy, feel good in and about your body, and enjoy normal eating without forcing your body to fit into a shape that isn't yours. Self-acceptance can be hard psychological work, but therapists and dietitians who work with patients with eating disorders can help. Keep in mind that the alternative to acceptance may be to continue to binge and purge. Over time, this may, in turn, lead to greater weight gain. Insurers, in their efforts at cost-containment, may cut off treatment prematurely before a patient reaches a weight that is adequate to sustain recovery. You may need to advocate for more treatment for yourself or a loved one. How Do I Know If My Weight Is Suppressed? Is your weight lower than your highest adult weight? Are you preoccupied with thoughts about food? Do you experience episodes of eating in which you eat unusually large amounts of food in a short period of time and feel out of control while doing so? Do you eat impulsively–when you haven’t planned to–or engage in emotional eating? If more than one of the above is true, consider seeking help and gaining weight. Getting to a weight that is biologically determined healthy for you, regardless of where that number is on population norms, is usually the healthiest. We do not yet have enough research to know whether you would need to go back to your highest weight, or whether regaining some of the suppressed weight may be sufficient. You may find that weight gain will relieve some preoccupation with food, reduce symptoms of bulimia nervosa, and generally improve the quality of your life. You may also discover that the negative consequences of weight gain that you fear do not materialize. When weight is not suppressed you can more fully enjoy eating a variety of foods without obsessive worry and live life more fully. You can go out for dinner and enjoy a drink, indulge in a cupcake for a coworker’s birthday, and travel to a different region and experience the local cuisine all without accompanying anxiety. Juarascio, Adrienne, Elin L. Lantz, Alexandra Muratore, and Michael Lowe. 2017. “Addressing Weight Suppression to Improve Treatment Outcome for Bulimia Nervosa.” Cognitive and Behavioral Practice, October. https://doi.org/10.1016/j.cbpra.2017.09.004. Keel, Pamela K., Lindsay P. Bodell, Alissa A. Haedt-Matt, Diana L. Williams, and Jonathan Appelbaum. 2017. “Weight Suppression and Bulimic Syndrome Maintenance: Preliminary Findings for the Mediating Role of Leptin.” The International Journal of Eating Disorders 50 (12):1432–36. https://doi.org/10.1002/eat.22788. Keel, Pamela K., and Todd F. Heatherton. 2010. “Weight Suppression Predicts Maintenance and Onset of Bulimic Syndromes at 10-Year Follow-Up.” Journal of Abnormal Psychology 119 (2):268–75. https://doi.org/10.1037/a0019190. L Butryn, Meghan, Michael Lowe, Debra Safer, and W Stewart Agras. 2006. Weight Suppression Is a Robust Predictor of Outcome in the Cognitive-Behavioral Treatment of Bulimia Nervosa. Vol. 115. https://doi.org/10.1037/0021-843X.115.1.62. Russell, G. 1979. “Bulimia Nervosa: An Ominous Variant of Anorexia Nervosa.” Psychological Medicine 9 (3):429–48. How to Identify Purging Disorder? How Can Eating More Frequently Promote Eating Disorder Recovery? Excessive Exercise: Could It Be a Symptom of an Eating Disorder? How Do Doctors Diagnose Eating Disorders? Is Extremely Picky Eating an Eating Disorder?